Birds in their natural habitats. The majority of these birds will be ones that live near water in the San Francisco bay area. 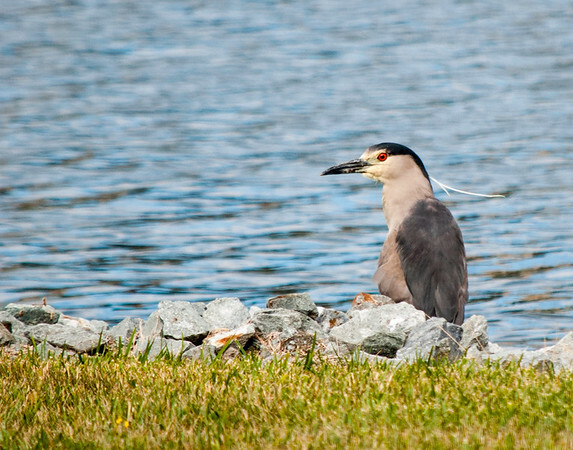 Red-Eyed Black Capped Night Heron sits peacefully beside the lake.